Brian Stanford, CMC, ISHC, FRICS is a Senior Managing Director and one of the practice leads with CBRE Hotels Valuation and Advisory Services group in Canada. With over 20 professionals, focused exclusively on the hotel industry, CBRE Hotels is the largest, and most qualified valuations, advisory and brokerage group in this sector in Canada. Brian is based in Toronto, but has responsibility nationally. Brian joined CBRE Hotels in 2015 with CBRE’s acquisition of PKF Consulting Canada, where he was one of two National Managing Directors. Brian had been with PKF since 1980, and has over 35 years of hotel development, operational and investment advisory experience. 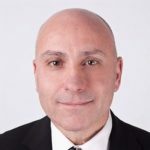 He has worked extensively within the hotel and resort sector nationally and provincially in undertaking numerous operational reviews, development studies and appraisals on behalf of owners, developers and lenders. Brian obtained his Certified Management Consultant designation (CMC) in 1986. He is one of only 15 Canadians accepted into the International Society of Hospitality Consultants (ISHC). Brian is also a Chartered Valuation Surveyor, having been accepted as a Fellow member (FRICS) of the Royal Institution of Chartered Surveyors in 2017.